Bordeaux. Tuscany. Napa. Rioja. Many of the world’s best wines come from a handful of regions known for their growing conditions and local expertise. In the cannabis world, few growing regions can compete with the name recognition of Humboldt County. But a new group is looking to raise the profile of cannabis cultivated in the rolling hills and microclimates of Sonoma County. 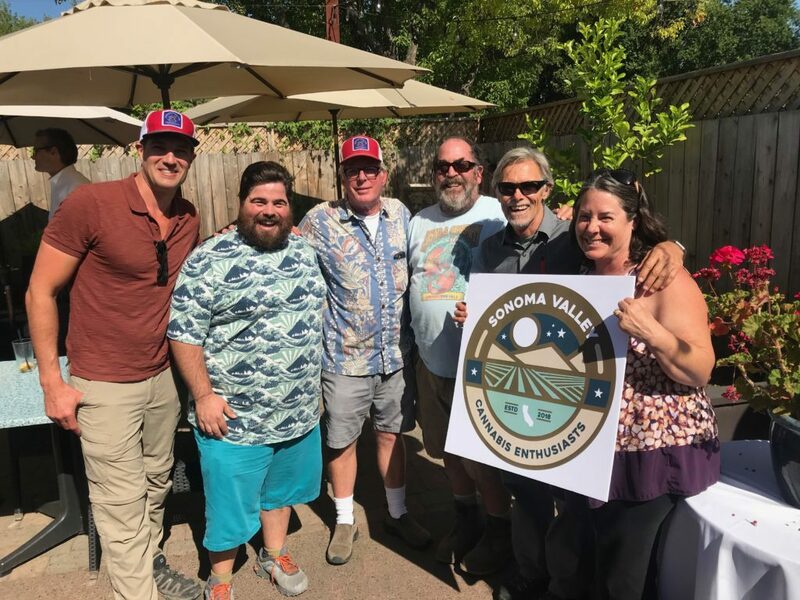 Founded in March, the Sonoma Valley Cannabis Enthusiasts (SVCE) formed around a common goal: elevating the quality and reputation of cannabis grown in Sonoma Valley. Over the last decade, a number of organizations throughout Northern California—including the California Grower’s Alliance—have considered establishing cannabis “appellations” similar to wine regions that would designate where the product is grown. Michael Coats, a founding SVCE member and vice president, says discussions about forming a group first began with cannabis business owners, growers and others in his local community. The Sonoma resident has worked as a publicist for San Francisco-based SPARC dispensary with Sonoma County locations in Sebastopol and Santa Rosa. SPARC operated a fledgling biodynamic cannabis farm in the Sonoma Valley that was destroyed in the 2017 wildfires. The group’s first official meeting in June drew about 50 attendees, including Ken Brown, former Sonoma mayor and SVCE president; Erich Pearson, CEO of SPARC, who is also a founding member; and cannabis grower Mike Benziger of Glentucky Family Farm. 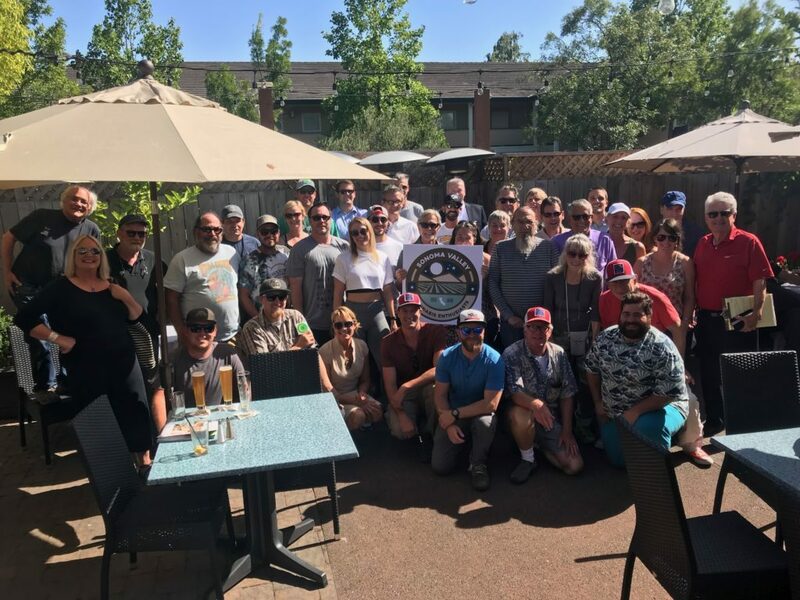 Other members on the steering committee of the organization include organic farmers Sam and Phil Coturri, Sonoma Valley florist and farmer Natasha Drengson, growers Sean Kelley and Joey Ereneta of Terra Luna Farms and Erin Benziger Weisswasser of Glen Ellen Star restaurant. With new consumers entering California’s legal cannabis market, Coats said he and other Sonoma Valley enthusiasts wanted to meet and discuss what sets their region—and its cannabis—apart from others. Dispensaries and medical and manufacturing facilities are not permitted in the city of Sonoma. However, residents are allowed to cultivate up to three plants for personal use. Residents can have medicinal cannabis products delivered from licensed dispensaries outside of city limits. Coats says the group is not focused on the politics of cannabis, particularly as they apply for 501(c)(6) tax-exempt status. Instead, the SVCE mission focuses on helping members reach a larger audience. “We’re not out there actively promoting cannabis tourism, but one of the benefits, I think, if we do this right, is that Sonoma Valley could be a go-to place for folks looking for good biodynamic cannabis, or good quality, terroir-driven cannabis and products,” says Coats. The group was also formed to help protect small farmers and promote best practices in cultivation and environmental stewardship. Still, Coats cringes at the world sustainability. Coats said the SVCE is also interested in eventually hosting local events like cannabis growers’ dinners. “The incremental steps that it took the wine industry to get to where they were able to do events and things like that; I’m hoping that we can do that similarly with cannabis,” says Coats. For now, the group is still in its early stages of development. Members say they hope the group will expand and bring more awareness to the budding industry in Sonoma Valley. Coats says anyone interested in joining the SVCE can attend their next meeting on August 23, 3-4:30 p.m. on the back patio of the Sonoma Grille at 165 W. Napa St. in Sonoma. Recent Study Says Marijuana Won’t Lower Teen I.Q.